DC Universe meets the very dead but lovable Skelanimals! Must have for any fan of DC and Skelanimals! Dax the Dog meets the Superman! Not even Kryptonite can take down Dax! 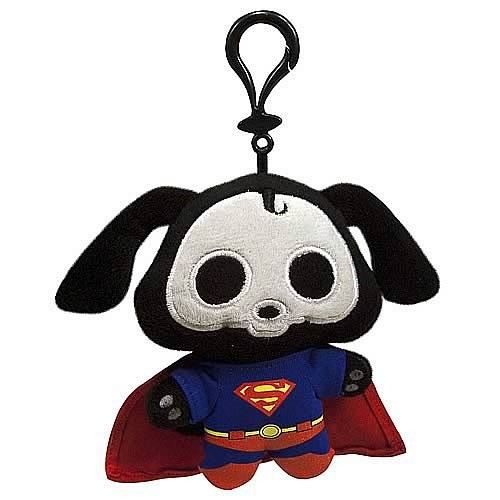 The Dax Superman clip-on plush measures 4-inches tall and comes in Superman's red and blue outfit, yet retains a strong identity of Skelanimals! Ages 3 and up.